Powered by RES Technology and featuring Hydration Repair Complex, this targeted, night repair serum penetrates deeply into skin's surface to dramatically boost skin's natural renewal process. The unique concentrated formula works overnight as you sleep to visibly repair the appearance of skin damage caused by environmental aggressors during the day. Younger-looking, smoother, luminous skin is revealed the next morning. 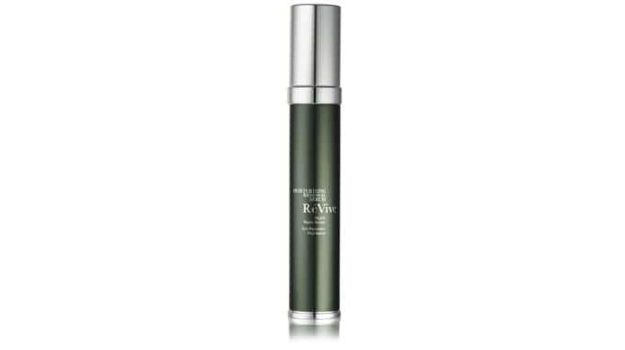 Revive Moisturizing Renewal Serum encourages skin's natural renewal, repair, and rejuvenation process to unveil skin that is smoother, brighter and more youthful. This serum works through the night during skin's critical cellular regeneration phase to repair the appearance of damage caused by daily environmental assaults. Revival Moisturizing Renewal Serum helps boosts skin's natural exfoliation process to reduce the look of fine lines and wrinkles. Evens skin tone and smoothes skin's texture, revealing a radiant complexion illuminated with the ReVive glow. Help restore the skin's natural moisture barrier to lock in hydration, provide enhanced protection from dry skin with Revive Moisturizing Renewal Serum.